Sweet Potato Bites - Good Eats with a Healthy Twist! Back in the day, I was a junior lifeguard in Huntington Beach, which meant my summer mornings consisted of swimming around the Huntington Beach pier, running drills on the beach and learning everything there was to know about ocean safety and how to rescue someone in distress. I basically LIVED at the beach those summers, and after a hard day of junior lifeguarding, nothing tasted better than cheesy tortilla strips. Anyone who is local to HB knows about the cheese strips at Dwight’s: tortilla chips, shredded cheddar cheese and tomato sauce. It may sound weird at first, but it is so, so good. When the wonderful team at Foodiechats gave me the opportunity to partner with Sartori Cheese for some #GameDayCheese, I KNEW I had to recreate the cheesy tortilla strips from my youth, with a few changes. 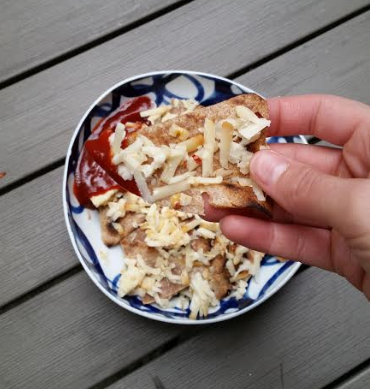 Instead of using tortilla chips, I fried up a couple of whole wheat tortillas and instead of the plastic-y orange cheese, I decided on Sartori’s Chipotle Bellavitano for an extra kick. I know the fact that you don’t melt the cheese sounds really weird, but trust me on this one – it’s delicious! Cut your tortillas into “strips” or squares and place in a skillet on low heat with some olive oil. You’ll want to try the tortillas until they are nice and crispy like chips. Grate your cheese and set aside while your tortillas are frying. 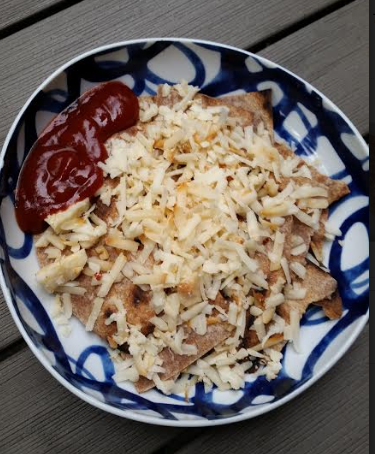 Place your tortillas on a plate and sprinkle cheese on top. Add tomato sauce on the side. 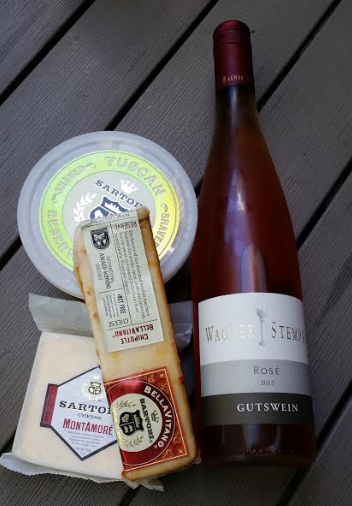 If cheesy strips aren’t your thing, then a good ol’ fashioned rose and cheese pairing works too. Thanks again to Foodiechats and Sartori Cheese for this awesome game day eats pack! This entry was posted in Best Of and tagged cheesy strips, foodiechats, huntington beach on September 13, 2016 by allie@sweetpotatobites. I’ve always been a bit fussy when it comes to vitamins. I steered away from the gummy kinds because most of the time they are loaded with high fructose corn syrup which I can’t have (nor do I wish to have). 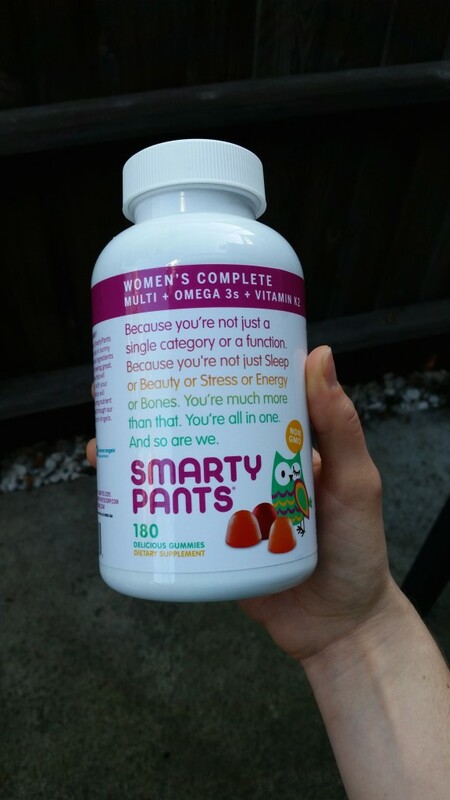 But then Smarty Pants gave me the opportunity to try their Women’s Complete Gummies, and my tune has changed! The Women’s Complete Gummy not only is a complete multivitamin, but also has Omega 3 DHA and EPA fish oil, K2 for bone health and Folate for detox support. These gummies are also FREE of all artificial flavors and sweeteners, and contain no corn, soy or gluten, making them ideal for me and my food allergies. Throw in the fact that they are free of GMOs and taste great, and you’ve got a winner in my book. Since I’ve been doing a lot more lifting and a lot less running lately, I’ve found these gummies to be the perfect complement to my breakfast post-workout. They give me a nice little boost for the rest of the day and I love knowing that I’m doing something good for my body. Ok, so now the fun part: one lucky winner will get to try their own set of Smarty Pants Gummies for themselves! Please fill out the form below to be entered to win your own set of gummy vitamins! Thank you to Fit Approach and Smarty Pants for providing me with the gummy vitamins and for hosting this awesome giveaway opportunity! 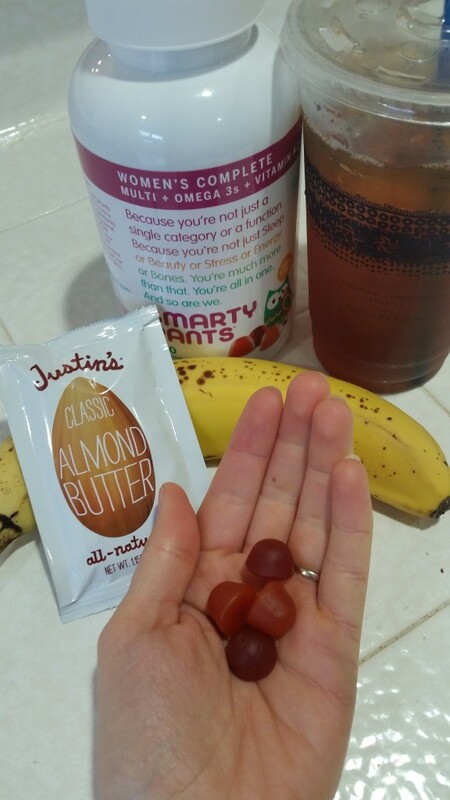 This entry was posted in Food Allergies, Giveaway, Gluten-Free and tagged gummy vitamins, health, health warrior chia bars, smarty pants on March 27, 2016 by allie@sweetpotatobites. I have a confession to make: I don’t really *gasp* LOVE chia pudding. I know it’s super trendy and healthy and all that good stuff, but I just have a hard time getting on board. When Peanut Butter and Co. put out the call for an #eatclean recipe using their new Mighty Nut powdered PB, I figured it was the perfect opportunity to give chia pudding another shot. Given that we are in the dead of winter and spring/and summer produce is still a few months away, I decided that blueberries would be the best bet for this pudding (banana would also be good too!). I think the best part about this blueberry chia pudding is that the ingredients are simple: blueberries, chia seeds, Mighty Nut, almond milk & any toppings of your choice. 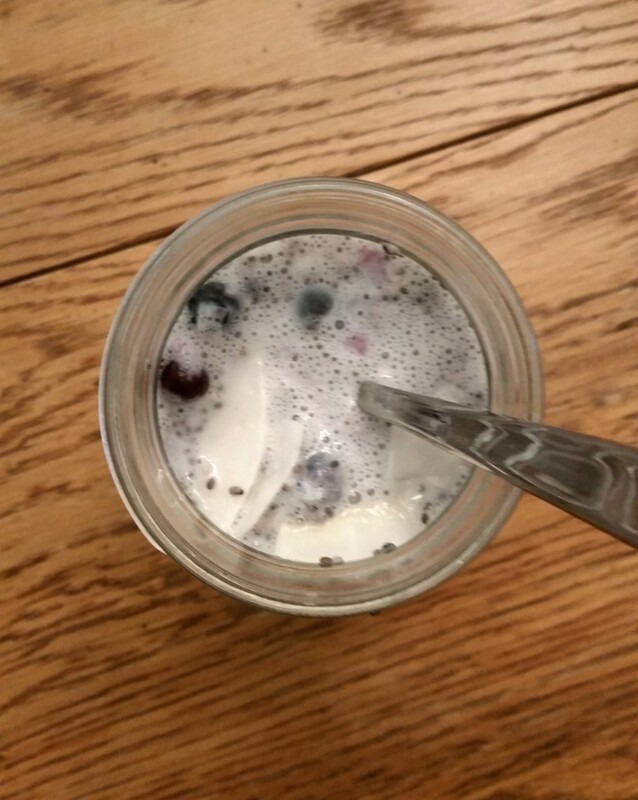 I decided to go with the original Mighty Nut flavor for this recipe, and was pleasantly surprised at how nice it blended with the chia and the blueberries. Plus, with 6g of protein in each serving, it makes for a delicious afternoon or evening snack. Thanks Mighty Nut for helping me give chia pudding another shot. Mix all your ingredients in a mason jar or bowl and stir well. Place in the fridge for at least 2 hours or overnight. 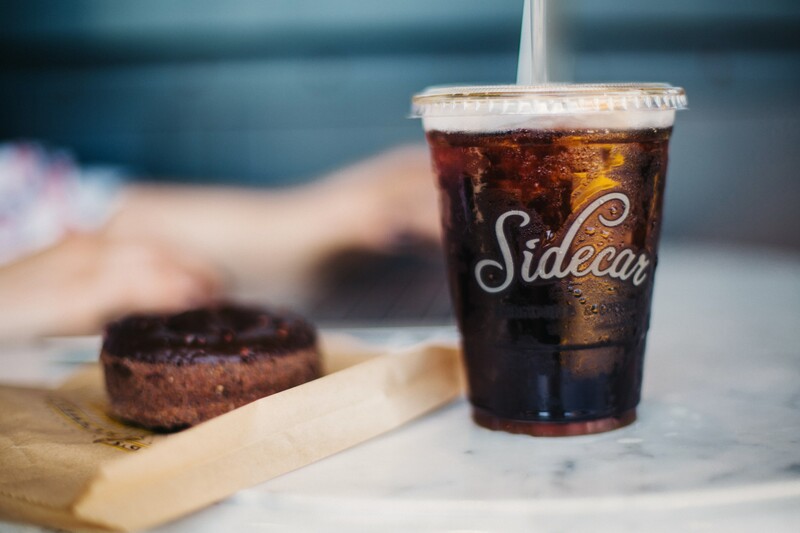 Add toppings, and enjoy! 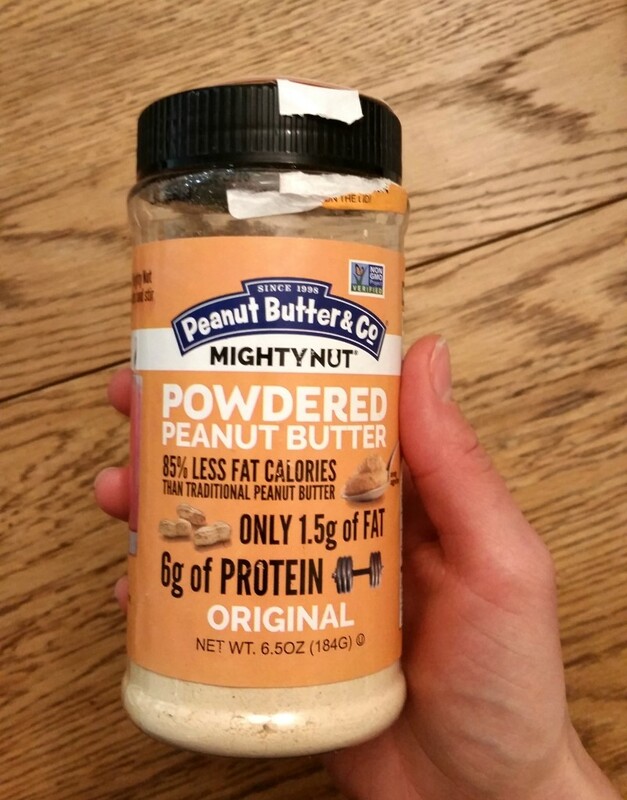 Thanks to Peanut Butter and Co. for sending me some Mighty Nut for this #EatClean recipe! Check out the all of their Mighty Nut flavors at mightynut.com. This entry was posted in Gluten-Free, Good Eats, Recipes and tagged eat clean, peanut butter, powdered peanut butter on January 18, 2016 by allie@sweetpotatobites. 2015 was a bit of a mixed bag for me. On the one hand, I started my own business which was incredibly exciting, but also incredibly overwhelming. I consider this year to be a big “growing” year, where I learned a lot about myself, my relationships and how I want to continue down my career path. Back in May I shared my initial thoughts of a being a freelancer, and now as I write this recap at the end of the year, I wanted to share my freelance perspective one full year in. Clients (and those relationships) will come and go: Sometimes client relationships don’t go as planned, and that’s ok. People will come and go out of your life, and the ones that are truly meant to be there will be in it for the long haul. I have learned SO much from all of my working experiences this year, and wouldn’t change any of it for the world. Even those not-so-great moments. Surround yourself with smart people: While this year may have been a bit of a roller coaster professionally, I truly feel like I have landed where I’m supposed to be. I’m currently working with some pretty intelligent and talented people and have learned so much in the past few months of working with them. I’m eagerly looking forward to becoming an even better marketer in 2016. Time is money: I have always been on a salary wage so switching to hourly was a big change for me. I never realized how much I took having a salary job for granted until I I started hourly. If I’m not working, I don’t get paid, so I make sure to be as efficient as possible with my time every day. Self-Employment taxes: The struggle is so real on this one. Gone are the days of having taxes automatically taken from your paycheck and instead budgeting and estimating your income each month. Add an extra self-employed tax on top of your state and federal taxes and you are in for a real party. Make time for yourself: This one is big. One of the great things about working from home is well, you work from home, but it’s a double-edged sword. I found myself struggling to put work away at night and spent many weekends missing out on fun with friends because I was locked away in my office working. Emphasizing work/life balance is going to be a big priority for me for 2016. It’s hard on your significant other too: I am so very lucky to have a wonderful and supportive husband, but I’d be lying if I didn’t say that my new career venture was hard on both of us. He was there for me through the ups and downs and some tears, and I’m grateful to have such a strong support system at home. But it’s a good reminder that when you work for yourself, those closest to you are affected as well. Now that I have a year of working for myself under my belt, I’m feeling much more confident walking into 2016 with a solid foundation and ready to see what the new year has in store. 2016, bring it on. This entry was posted in Best Of, Life and tagged Allie Fisher Marketing, Business on December 31, 2015 by allie@sweetpotatobites.